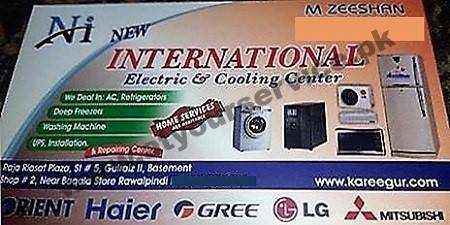 New International Electric & Cooling Centre is located in Raja Riasat Plaza, Gulraiz II, Rawalpindi. It deals in Air conditioners, refrigerators, deep freezers, washing machines and UPS etc. Installation and repair facility is also available.